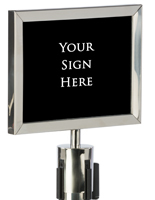 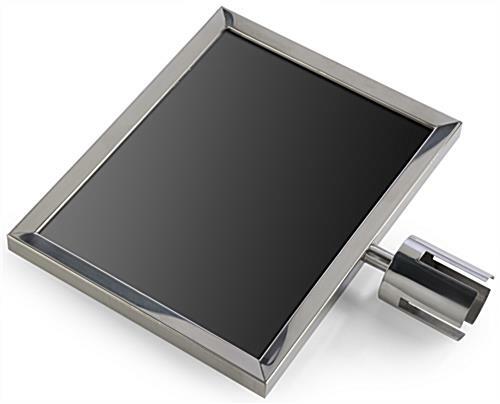 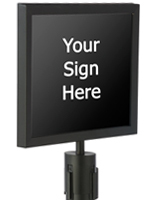 These 14 x 11 silver stanchion frames are made of aluminum and have a black PVC backer with an anti-glare lens. 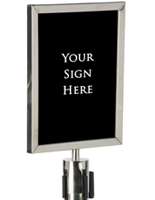 The signs fit onto crowd control posts and are great for informing customers in retail environments and at event venues. 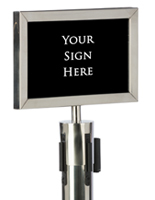 The black and silver stanchion frames can display any print from simple signage paper to graphics printed on vinyl. 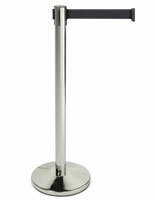 The fixtures are compatible with the RCCSTSPL01 line of crowd control posts. 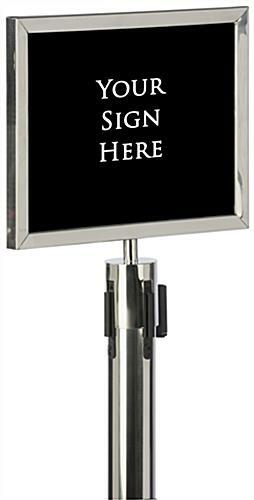 Each of the QueuePole.Economy stanchion frames is double-sided, includes anti-glare lenses and is made of solid steel for meeting any advertising need. 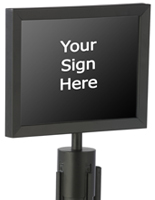 The signs for events display messaging a landscape format, but are also available with a portrait orientation. 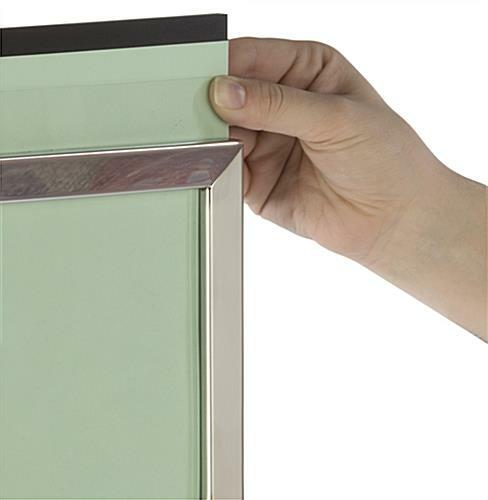 14.3" x 53.8" x 2.5"